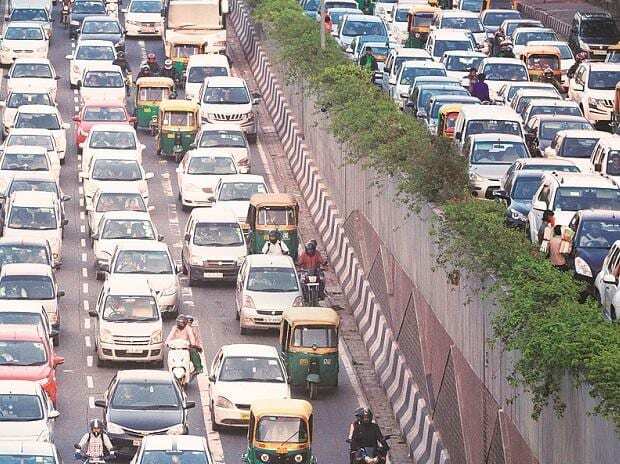 Under the new emission standard regime of BS VI, prices of passenger vehicles (PVs) are expected to increase by 3-7 per cent, trucks by 10 -12 per cent and two-wheelers by 10-15 per cent from April 2020. While the discounting scheme by dealers during the pre-buying period is expected to be higher, manufacturers believe that unlike in BS IV implementation, the transition to the new regime would be smoother considering that it is well anticipated and they have time to manage the manufacturing and inventory. Anuj Sethi, Senior Director, CRISIL said the price increase will be higher for diesel cars. This will increase the attractiveness of petrol variants, he added. The share of diesel variants is about 23% of overall PV sales for FY18 (as compared to 47% in FY13). Crisil projects two-wheeler prices to increase by about Rs 5,000-Rs 10,000 per vehicle (10-15%). While TVS, Honda, Bajaj and others did not respond to emails, Crisil and insiders say price increases will be felt more in the price-sensitive economy segment in two-wheelers. Pre-buying is expected in Utility Vehicles (UVs) as well. As far as CV is concerned, discounts for BS-IV vehicles will be higher closer to March 2020 as OEMs will look to clear off BS IV inventory (similar to what happened during BS III to BS IV transition). Crisil expects growth to slow down in FY21. "The situation is likely to be better during BS-IV to BS-VI transition. Supreme Court notification is available much earlier, and OEMs have an opportunity to be better prepared. Sales, manufacturing, and supply chain will be synchronised every month during next fiscal, and a pull-based stock management program will be strengthened. Discounts will be a function of inherent demand, pre-buying effect and product competitiveness, said Girish Wagh, President- CVBU of Tata Motors. Most of the developed markets have seen varying amount of pre-buying during BSVI equivalent emission regulation transition. A similar trend is likely in India, the magnitude of which will depend on multiple factors like inherent demand and expected price increase. Commercial vehicle demand in FY20 will depend on growth in end-use sectors like construction, mining, e-Commerce, agriculture, manufacturing and the supply situation, which got a boost from the Increased Axle load regulation. The industry has already seen the impact of increased axle load regulation in H2 of FY19, as it led to increased supply for a given demand, thereby affecting the volume of new commercial vehicles. Actual commercial vehicle volume in FY20 will be a function of this supply-demand balance. The industry expects single-digit growth in commercial vehicle volumes in FY21.